Many times I’ve wished I could step away from Have Another Day‘s helm but still control the engines from a better vantage point, or from where I want to handle a line. So it was great when Dockmate U.S. representatives came to Gulfport, FL to install their wireless remote system for me to review. 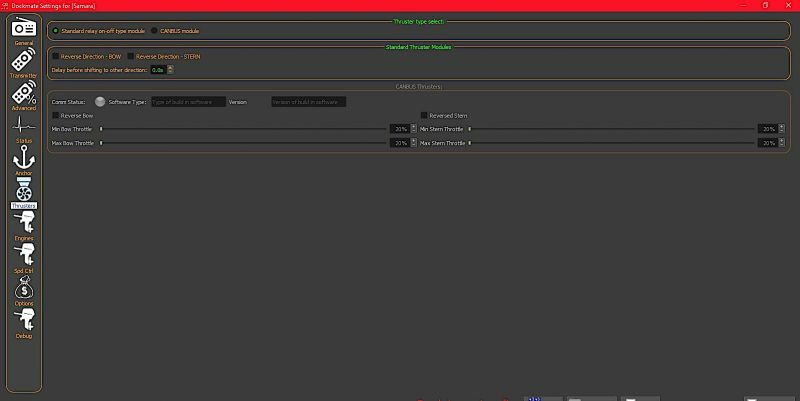 In this entry, I’ll describe the system and my experiences with using it so far, which have been positive. Dockmate is new to the US having started distributing their systems in 2018 but the company began selling systems worldwide in 2012 with several thousand systems already installed. Their latest system is capable of controlling two engines, one or two windlasses, bow and stern thruster, and a horn. An install consists of a receiver that is typically located under a helm and connected to each of the items being controlled and a wireless remote. 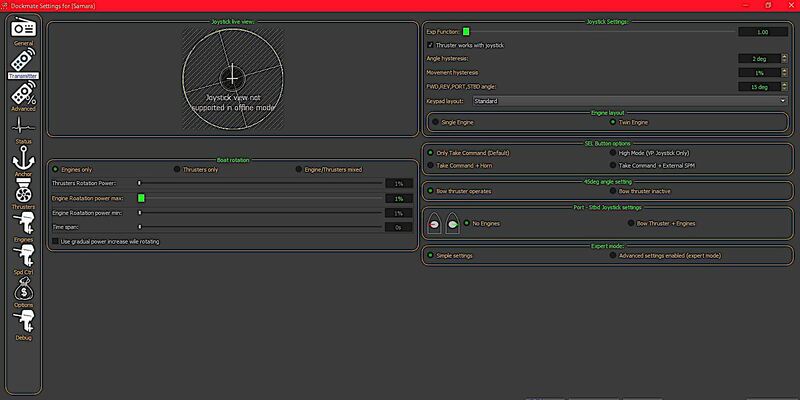 Dockmate has an array of options for integrating with engines, thrusters, and windlasses to make the installation as simple and flexible as possible. On Have Another Day it controls my Volvo-Penta QL bow and stern thrusters, twin Volvo-Penta D12-EDC engines, horn and Maxwell 3500 windlass. They say a 5 function (two engines, thruster, anchor, and horn) system with a Twin remote will typically cost about $7,500 installed. 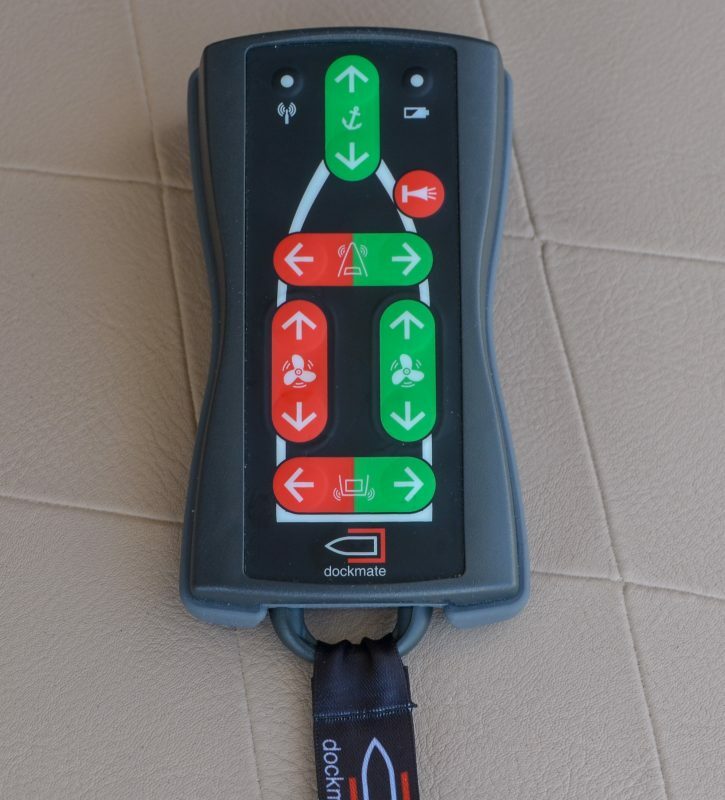 A 6 function (two engines, two thrusters, anchor, and horn) with the twist remote connected to CAN bus controlled engines will run about $12,500, but there is a litany of equipment specific options that can influence specific pricing for your boat. So it’s best to get a quote from a Dockmate installer. Dockmate is designed to interface with electronically controlled engines, so, if you have mechanical engines with cable or hydraulic actuation of throttle and shift they will refer you to Glendening for a compatible mechanical to electronic retrofit. Dockmate also offers a transmission interface box to directly control transmission shift solenoids, thus bypassing proprietary engine control systems. The receiver is about a 9-inch by 9-inch box that mounts out of sight near one of the helms so that it can be connected to the various controls that it too will control. It contains a series of interface boards or relays to control each function. Critical ones like thruster and engine commands have double relays, both of which must close to engage the function. This safety mechanism avoids a stuck relay resulting in unintended actuation of an engine or thruster. In the event of any failure, out-of-range condition, dead batteries or other unexpected events, the system will return to neutral and the engine controls at the helm will be active. 12 or 24-volt power can be supplied to the receiver from two separate sources for further redundancy. The receiver has a series of LEDs on top of the enclosure that light when a function is activated. 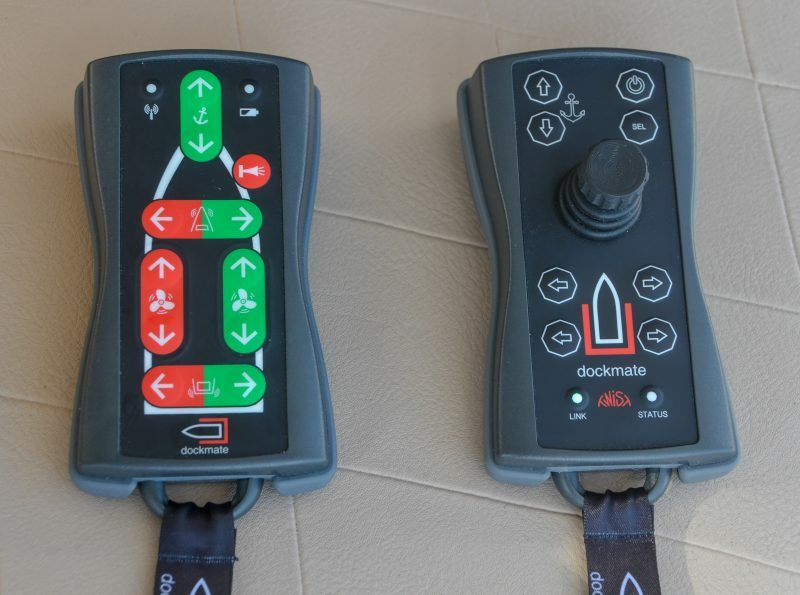 Dockmate offers two styles of remotes, one with membrane push buttons available for either single or twin engine installs — called the Dockmate Single and Dockmate Twin — or their Twist which is a joystick style remote for twin-engine and pod-driven boats. 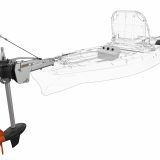 The Twist provides joystick control of the boat, so pushing forward and starboard will result in the boat moving in that direction while a twist of the remote’s stick will result in the boat twisting as well. While that’s pretty straightforward to do on an IPS equipped boat it takes some clever customization to make it happen on boats not already equipped with a joystick. I’ll show you some of Dockmate’s impressive customization capabilities below. All the remotes are waterproof and float though Dockmate also includes a neck lanyard to help you keep the remotes from going overboard. The Twist remotes have rechargeable batteries that are charged using a wireless charging pad, the Single and Twin remotes use alkaline batteries. The pad uses the Qi wireless charging standard so I was pleased to find I could swap chargers with the Raymarine Ray90 wireless handset as well as charge a Samsung Galaxy phone. The receiver and remote link wirelessly over an FM spread spectrum link utilizing five different 433mhz frequency channels at the same time to avoid interference, and in my testing that worked well. Immediately after completing the install I walked the remote down the dock and tested range using the horn. In a marina surrounded by homes and full of boats, I found range in excess of 300 feet, and in regular use I’ve never had a single control input fail to transmit and execute the command. Incidentally, if the remote does get out of range, it will beep when a button is pressed and the link light will blink to indicate a failure (something I only experienced when I walked hundreds of feet down the dock). 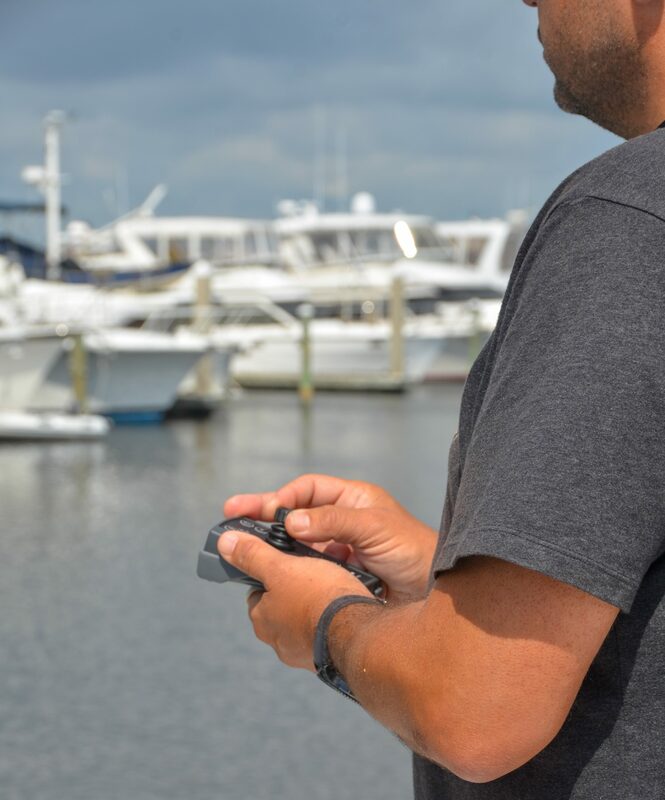 Navigating your boat by remote control is a bit different. The Dockmate installer advised that it’s best not to turn your body 180 degrees because it’s difficult for your brain to handle the mismatch between the direction you push and the direction the boat moves. I’m not always good at listening to directions so one of the first times I used the remote I found myself looking off the stern wanting to move away from the dock. I pushed the joystick away from the dock and of course — since I and the remote were facing the wrong way — the boat headed right for the dock. I’ve had the system onboard Have Another Day for a couple of months now and have had the opportunity to use it while departing a slip, docking, anchoring and weighing anchor. We travel a lot and have worked out a good routine for each of these operations so I wasn’t sure how regularly I would use a remote. But I’ve found it to be a useful aid even in those circumstances where it’s not an absolute must-have. When pulling out of a slip in high wind conditions the ability to tend lines on the bow — and control the engines and thrusters — while my wife works lines at the stern is very helpful. I also really appreciate how I can stand at the bow while weighing anchor and carefully watch it come up while also keeping the bow in the right place. And when tightening lines it’s helpful to be able to stand on the dock with the remote in hand and thrust the boat over. Finally, and although mine is connected to my windlass, we could have setup the Dockmate to wirelessly control the tender crane instead. I’ve also come to like how invisible the Dockmate installation is, with only a master power switch and the charging pad showing at the helm. I had wished for a helm display to duplicate the receiver’s LEDs so that I could confirm received commands, but as I’ve used it more I’ve gained more confidence it will just work. 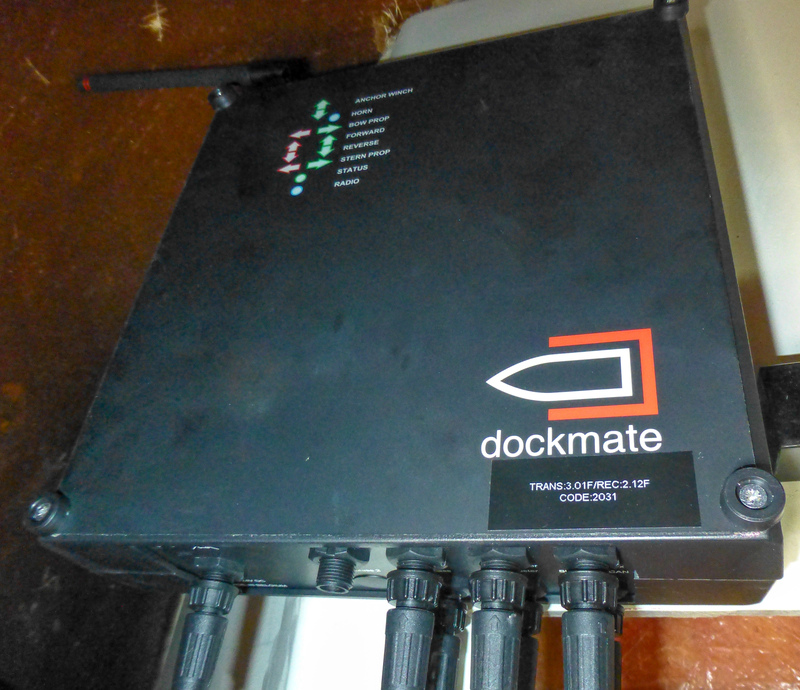 A Dockmate installer can customize nearly every aspect of the system’s operation. Delays can be set for each function, throttle curves changed and –for Twist systems — the propulsion components used for each maneuver can be highly tuned. For instance, Have Another Day’s torquey motors and big props mean that I can pretty easily spin the boat on differential thrust alone. So I asked that the joystick’s twist motion be set up to put one engine in forward and one in reverse while not using any actual thruster power. By contrast, I visited one of Dockmate’s single-engine demo boats with bow and stern thrusters where the twist motion only uses the thrusters. The range of configuration options makes me think that Dockmate can be tweaked to handle nearly any type of propulsion. I’ve always looked at remotes as something that might be nice to have, but that I was okay without. But now that I’ve had the Dockmate installed on Have Another Day for a few months I don’t want to give up my loaner system. I am reminded of the value nearly every time we maneuver the boat; while it may be a luxury, it sure is a helpful and confidence inspiring one. 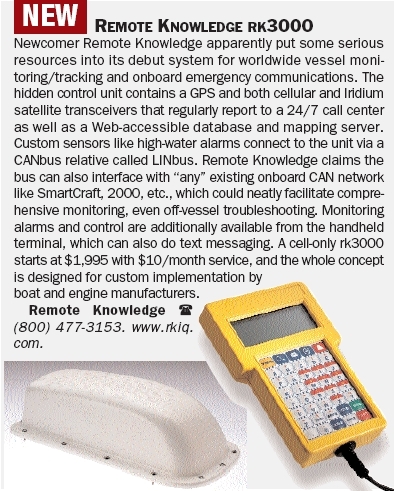 Raymarine & Remote Knowledge, very interesting! CoolSaver, really smart fridge control? 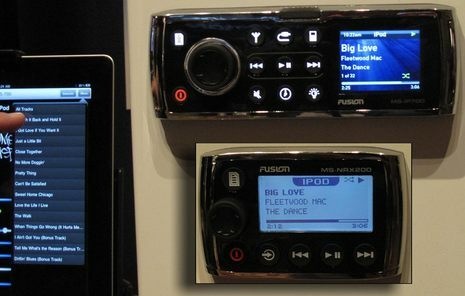 Fusion Marine Stereo 700 series, holy mackerel! 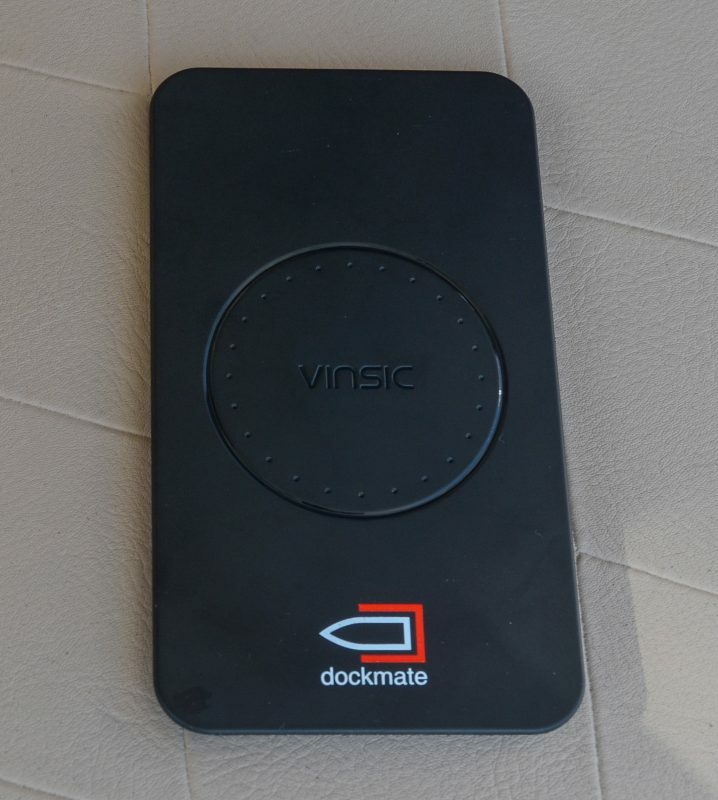 “Don’t be Fooled by Deceptive Marketing, False Claims, Inferior Technology and Cheap Remotes!” leads to many specific accusations against “Dockfake” and lots more exclamation points, all apparently created by competitor Yacht Controller. Regarding Dockmate’s claim of “Improving the docking experience for thousands of boaters worldwide since 2012” fakeremotes.com comments in its “Corrected FAQ” section that this is “This is a bald face lie as the company was formed in march 2018 and has only a handful of systems installed” with a link to a Florida incorporation document for Dockmate, Inc. that is indeed dated March 12, 2018. So it seems like “bald face lie” and “only a handful of [Dockmate] systems installed” are correct, right? And who would want to buy a product from a company as deceitful as that? But it takes about one minute to learn that Dockmate Inc in Fort Lauderdale is just one of many global distributors for the Belgium-based Dockmate and thus the claim that thousands of Dockmate installs are out in field is quite credible. Yacht Controller must know this, but it seems like they chose to lie about lying instead. I encourage companies to publically and specifically compare their products to competitors, but being deceptive while accusing a competitor of deception is ugly. In other words, Marc has already been successfully involved as a principal in distributing and installing a LOT of serious boat electronics, and to paint his new Dockmate distributorship as a lying fly-by-night operation is just ridiculous. I must admit I was pretty surprised to read the criticisms of Dockmate on YachtThrusters’s fakeremotes website. I actually had a Yacht Controller system to install but for my EDC controlled engines Yacht Controller doesn’t have a plug and play harness so I would have had to cut the harnesses for my engines. I decided not to do that for an evaluation install of a system I didn’t own. Older systems will frequently require cutting, as my bow and stern thrusters did since there’s no plug, just screw terminals on the back of the controllers. But, Dockmate had a nicely made Y-harness for my Volvo-Penta EDC throttle and transmission control binnacles. YC actually uses Dockmate’s instructions for connecting the EDC take-control wire as evidence against them. That’s chutzpah. 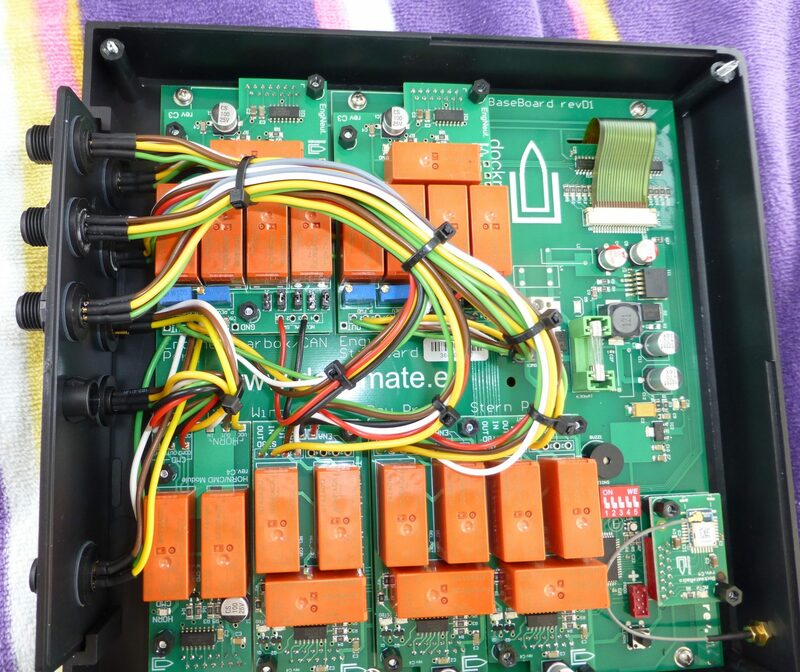 Given the myriad configuration choices and many of them being bare-wire connections I’d rather see both companies not use phrases like “never requires cutting wires” but I really don’t understand Yacht Controller’s trying to find fault with Dockmate’s claims given their own limitations. We first meet Dirk from Dockmate in 2015 at the MET’s show and we Started selling them in Australia and New Zealand in 2016. Thanks, Richard; how have they done with performance and reliability? They have proven to be very reliable and we have them on all sorts of boats. You can see a lot of the installs on our website and Facebook page. Thanks for the kind words Ben. I’ve been in this industry for over 20 years now. The people that know me are aware of the truth and I really appreciate you making it a point. It may come as a shocker to people, but MPI was a Yacht Controller dealer for almost 10 years prior to starting Dockmate, as may other Dockmate distributors were. There is a reason why companies are making the switch. 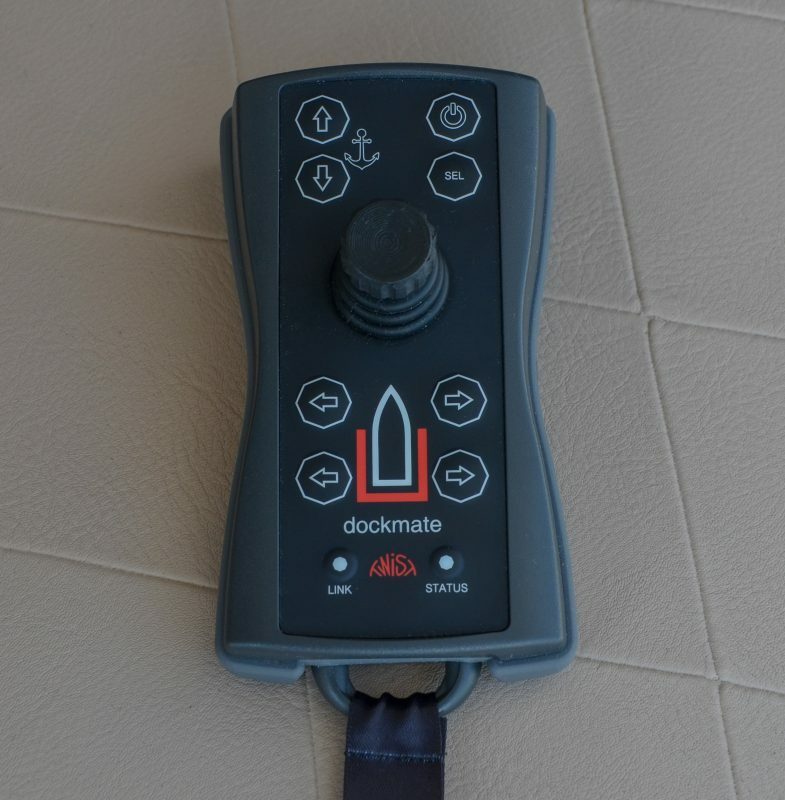 In my opinion, Dockmate simply offers the best technology out there for wireless remote controls. The customization capabilities with the NextGen software are incredible; providing the owner with their own “personal touch” to the 3 axis TWIST remote. 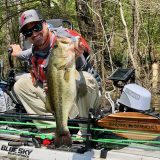 When I saw the capabilities of the Dockmate product, I had to get involved. I felt like I owed it to the US market to let people know that there was more than one option out there. 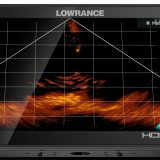 Any idea on how this system differs from Yacht Controller? Happy to see some competition in the space. There is tons of content on the website to answer your question. Or give them a call and they will be happy to discuss the differences with you. I did purchase a Yacht Controller system in Germany at the Boot trade fair and asked the Yacht Controller guys in Florida if they are willing to install the system in my German registered boat on which I‘m still travelling the US waters. The system is much cheaper in Europe. And what did Yacht Controller US? They forced the Italian manufacturer to cancel my order and return the purchase price to me because they wanted to sell the unit for a much higher price to me. This style of doing business is bad behaviour and I never saw this kind in my 35 years of doing business yet. Good that there is a serious competitor now in the US! 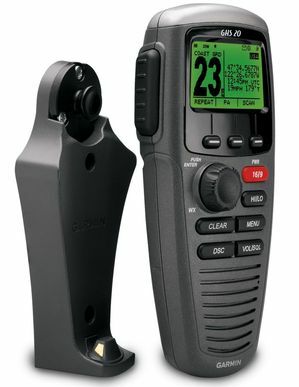 Speaking purely on the USES of the remotes and not the Yacht Controller versus Dockmate discussion, I was an early user of Yacht Controller aboard my last 2 boats over the past 11 years. It is a great tool indeed. I do recommend, from experience, that you always need to be ready to take over with the actual controls, Early on (before Yacht Controller went to a dual channel system), I was backing into a dock when the signal disappeared and the boat (a 60ft SeaRay) was gliding on its own without any control toward the dock! Since the dual channels this problem has been eliminated, but it still is on my mind when I use it. Remotes are great for docking. Do you NEED one? No, but it sure makes boat handling easier. Pachoud Yachts bought a Yacht Controller system on my behalf at the 2014 Fort Lauderdale Boat Show for a new build 80’ power catamaran. The yacht has lots of windage (as do most power catamarans) thus it was a firm requirement that the Yacht Controller controlled the engine RPM, I always have to add lots of throttle to get off a dock in anything but calm conditions. Mr Tony Valiente of Yachtcontroller was given all the throttle, engine and bow thruster information. Mr Valiente guaranteed me that while they cannot provide incremental RPM on Twin Disc controls at the time they would be able to in the not too distant future and certainly by the system was delivered and installed. He stated this in writing on the invoice (I can forward to anyone that might be interested). In 2016 the boat was launched and there was no ability to vary the RPM, just idle which does nothing in this boat. Over the next 3 years I was given excuse after excuse until they finally admitted it couldn’t be done. I asked for my money back, I was told the warranty period had expired. I did speak to a lawyer in Florida and he said I had an excellent case to sue Yacht Controller but that isn’t my style but I am sure they have lost much more business than a refund would have cost as I am happy to tell anyone that will listen about my poor experience with YC. I now have a Dockmate system. I am happy. It works (it took them a few tries, so some persistence on their part was required). The people are honest and pleasant to deal with, a far cry from the folk at YC. I had the misfortune to come across YC recently at the Palm Beach Boat Show where I expected an apology or something more than them spouting the same garbage they have on fakeremote.com when they heard that I have a Dockmate. The Dockmate system works. The people are honest and they have a good product. You don’t need to deal with the lies and dubious business practices of Tony Valiente and his scurrilous marketing activities. If anyone wants to get hold of me they can through the Samara website. Thanks, Ian. Samara is an amazing yacht with what seem like very well thought out systems. I’m visiting friends in Fort Lauderdale watching traffic go by and I see a large cat heading southbound. It looked familiar so I grabbed a set of binoculars and confirmed it is indeed Samara. Beautiful boat. You are welcome to take a closer look if you want. Call me a greenhorn, but I don’t know of any other company in boating who operates with this level of deception. Sure, there are shady boat repair businesses, but a manufacturer???? Thanks, Bob; I changed the link in my initial comment above. I don’t know why they dropped the fakeremotes.com site address, but yachtremotereviews.com seems exactly the same. And I found another, almost comical, bit of apparent deception about claimed Dockmate deception in the “Corrected FAQS” section. “Is Dockmate a local company?” is the question that YRR derives from Dockmate’s claim that “Dockmate is a local USA parts, service and delivery company” (which seems accurate given their status as U.S. distributor of a the Dockmate product developed and manufactured in Europe). “Yes very local. They operate their entire US operation out of a small nondescript warehouse while Falsely implying Yacht Controller, who operates via two company-owned buildings in Miami and Ft. Lauderdale and boasts a strong nationwide dealer network, is headquartered in Italy. We are not.” Which is followed by a Google Street View photo of Dockmate US and link. Like where’s that big Yacht Controller sign on top of the HQ? Or is it actually a shared building? Of course this is all ridiculously silly because it’s perfectly fine that both the Dockmate and YachtController U.S. operations are simply distributorships. Except that what I just pointed out is apparently not meant to be funny. Ben, that is hysterical! The image of Yacht Controller’s corporate headquarters in Italy has shading behind the trees from two separate directions, which is obviously not possible, unless there are two suns in the sky. Additionally, there are reflections of cars in the windows….even though there are no nearby cars visible in the photo. It’s head-scratching as to why any company would partake in such nonsense to build their credibility after 15 years or so in business…..
All of that said, I find Yacht Controller’s treatment of Mr. Underdown to be particularly contemptible, which was theft, plain & simple, since they promised in writing that their product would perform as specified, and then refused to offer a refund when it didn’t. Absolutely shameful.